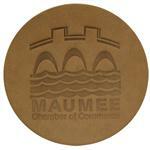 How cool is this stone coaster customized with a logo? 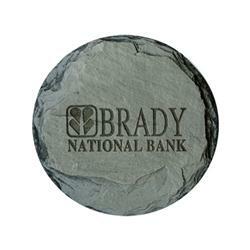 A wonderful heavy weight coupled with a nice ripple texture makes this a wonderful custom coaster gift. Slate look stone coaster with felt back. 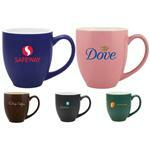 Couple it with our ceramic mug for a nice holiday gift as well. 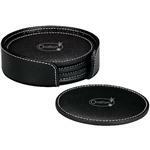 Or just dress up the office a bit with this 4 inch custom heavy coaster. Price includes engraving for one inch square - please inquire for larger logos.